Construction is by nature a noisy process. The noise generated on a construction site has an impact on a number of different construction health and safety concerns. You can read more about the effects of noise, according to the international journal Environmental Pollution, here in our blog post entitled ‘Noise is bad for you‘. 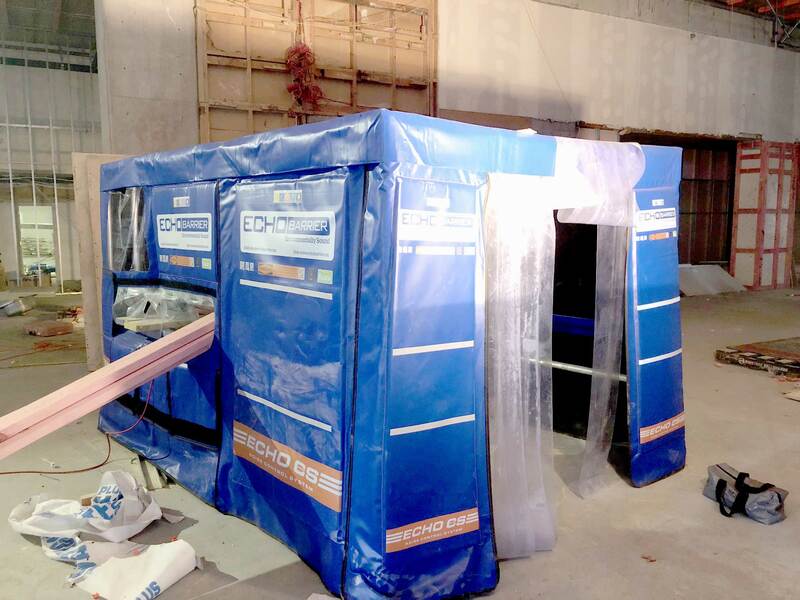 Echo Barrier products are suitable for constructions sites and manufacturing environments. 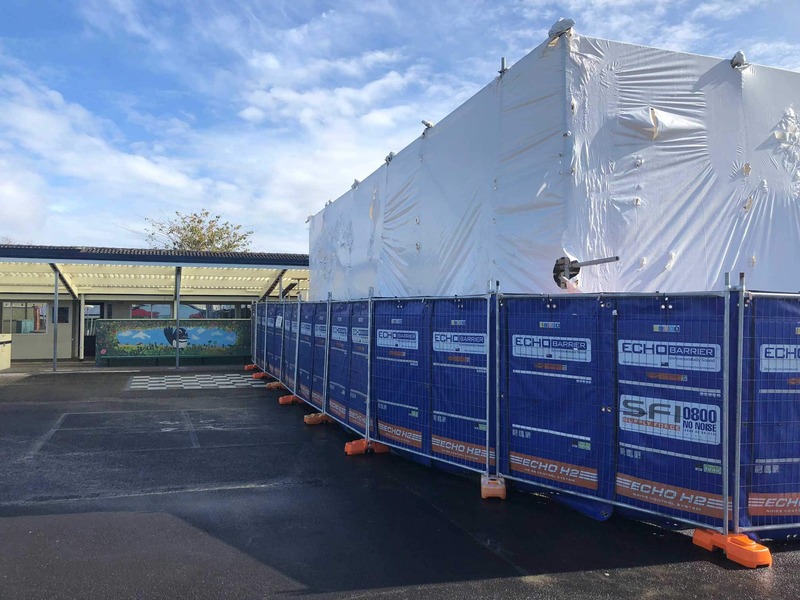 Echo Barrier has soundproof barriers for use as temporary site fencing as well as sound absorbing tents for generators/gensets and other noisy construction and manufacturing machinery. Personal hearing protection is usually the first port of call when noise mitigation is required. This is a key strategy in the management of noise, however, this only protects the wearer. Best practice dictates that the best treatment of noise is at its source. There are is a growing amount of equipment used on site that has noise dampening features built into their structure. This also goes a long way to reduce noise, but cannot reduce the noise made by most forms of equipment when they engage hard surfaces, such as cutting, breaking, grinding etc. This form of noise is best treated by the use of a noise barrier which surrounds the immediate working area to mitigate the noise at the source. Acoustic barriers are designed to absorb noise emitted from these various activities and to remove this energy from the environment. By doing this, the acoustic barriers reduce the noise energy for all parties that would otherwise be affected by the adverse effects of excess noise. Correct deployment of noise barriers can alleviate all of the factors highlighted above. When choosing a noise barrier, not all are created equal. It is important to choose a barrier that has been designed by acoustic professionals. A barrier designed by acoustic professionals will deliver the correct acoustic performance, and like all products, will be backed by comprehensive independent testing on various aspects of the complete product. 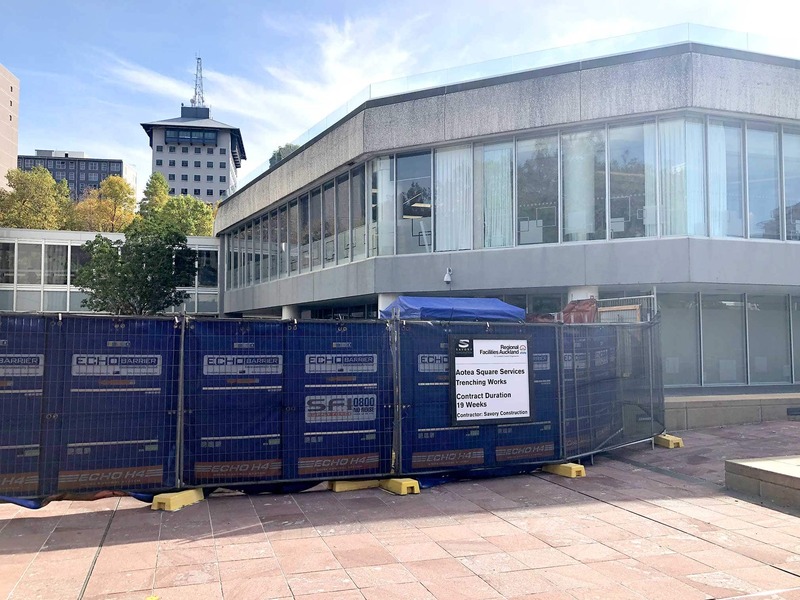 It is important that the barrier can perform in a range of conditions that will be present on any construction site, of most significance is being waterproof. If you can see the acoustic material on a barrier, it is not waterproof. Echo Barrier is the world standard in temporary noise mitigation, designed by acoustic professionals, and is widely used across the globe in construction, manufacturing and various other applications. The barrier is made of only the highest quality materials. Echo Barrier is the highest performing noise barrier on the New Zealand market in terms of noise attenuation, backed up by independent lab reports. 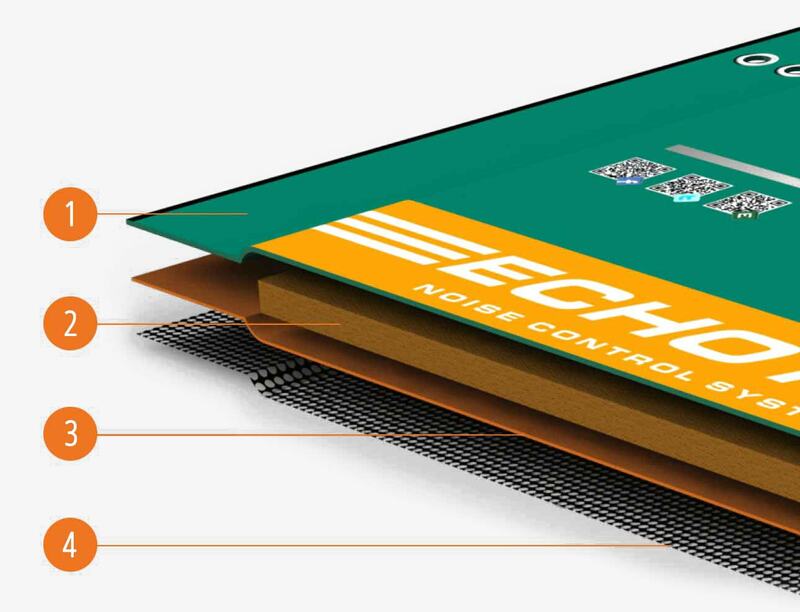 Echo Barrier is unique in that the acoustic infill is held within a waterproof membrane that allows noise energy to be absorbed, whilst keeping the barrier dry. Weighing in between 6-7kg per barrier, there is no other barrier that can compete with the Echo Barrier in terms of attenuation to weight.